SEGA has had some highly rated games released on the PSP, sadly mostly everyone outside of Japan has decided to ignore the platform. Sony recently announced the ‘PSP Remasters’ series. Games from PSP ported over and enhanced on the Playstation 3. One of the first games to get this treatment has been Monster Hunter Freedom 3, which looks great. I decided to put together 5 games that deserve the PSP Remasters treatment. Crush pits you in the shoes of Danny, who happens to suffer from Insomnia. He goes to a Doctor who hooks him up to his machine called C.R.U.S.H. (Cognitive Regression Utilizing pSychiatric Heuristics) which will allow him to travel his dreams. He solves puzzles in his mind, fights primal fears all in hopes of getting better. 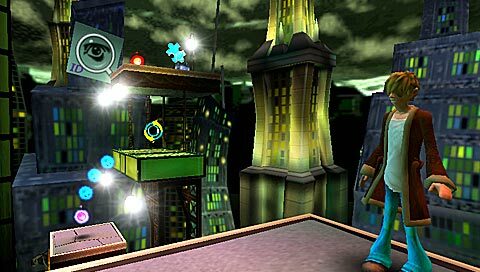 The gameplay was rather unique at the time, combining 2D and 3D planes to make puzzles work. Basically you could view the blocks in 3D space, move blocks around and then ‘crush’ the screen to make it 2D, which will open up paths you couldn’t take when it was 3D. Here is a decent video example of the gameplay. SEGA has recently announced that Crush will be appearing on the 3DS, so many of you will ask why I put it on the list. Simply due to the fact that the 3DS version is a brand new game. It won’t be the PSP classic we loved. Plus this game deserves a second chance. Some might be shocked that I picked a new Shining game for this list. The truth is, I have not played this title, but want to play it. Sadly the PSP game hasn’t made it to US shores and probably won’t make it ever. I have had whine sessions on here before about how I hate the new art style of Shining games, I still do, but outside the art style this game looks awesome. The story isn’t amazing, its about a girl that gets washed up on an island, you help her and find out someone wiped her memory and emotions. The island you live in, Wyndaria, is now full of pirates that want the spirit stone around the girl’s neck. So the lead character (who works on the island as a baker) and his co-workers decide to bring peace to the island to restore her memory. The game lets you grab a team of four and explore the island. There are things you can do like find materials to make stuff, do side missions for villagers and even fish. If you do quests you get hearts, which you can give to Kaguya (girl that lost her memory and emotions), this will help her regain her memory and emotions. She will release Heart Keys, which open doors to new areas. This game is also an RTS, something that fans have wanted from the series for awhile. I think getting a PSP Remasters version of the game can only be a positive. The problem with the PSP in the west is that too many users pirate titles like these. Playstation 3 has way lower piracy rates and needs more Japanese games! This Yakuza spinoff is a PSP exclusive, first Yakuza branded game to come out on a handheld console. This is also the first game to have a completely new character as the lead. Kenzan had a ‘reincarnation’ of Kazuma, this one doesn’t. The game pits you in the shoes of Ukyô Tatsuya, a young man that has dropped out of High School and fights on the streets of Kamuro District for money. One night he decides to attack and rob a Chinese loan shark. When he enters the building he finds Toda Naoki, director of the Kuki Group, who is a family to the Tojo Clan. A Yakuza. Toda Noaki attacks young Tatsuya, who precedes to punch him in the face, killing him on impact. You are later forced to fight for money for Yakuza to pay off your debt. 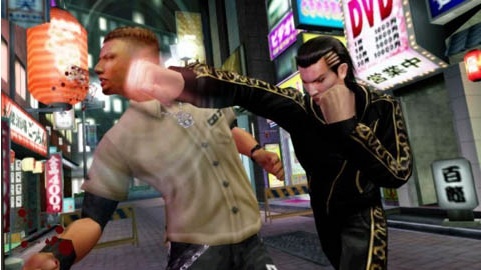 One of the biggest features for the PSP game is the fighting system. The game features tag team battles, Tag Matches and battle royals. Even though the PSP game isn’t part of the canon, I think it would be cool to have on PS3 with improved graphics. I mean, the game already is one of the best looking Playstation Portable titles. Since it seems that the Yakuza franchise is getting a nice cult following in the west, this would be a good PSN release for SEGA. Valkyria Chronicles, the first game, was the title from SEGA that made me get a Playstation 3. Lots of fans have complained that SEGA abandoned the PS3 fanbase in favor of the PSP. The decision makes sense in Japan, where the PSP is thriving. Sadly the PSP isn’t as thriving in Europe or America. 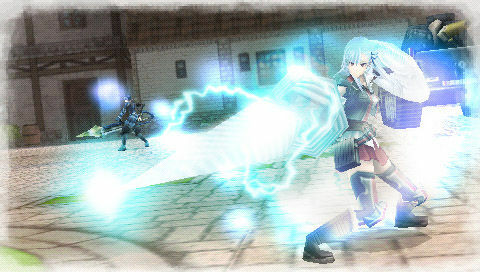 Valkyria Chronicles 2 takes place 2 years before the first game and was actually released outside of Japan on the PSP. I even did a review for it here. So, you can say, that I’m a fan of the franchise. As for Valkyria Chronicles 3, we in the west have not gotten a chance to play this one yet. The game actually takes place during the events of the first title, but you won’t play as the same people from the first game sadly. You play as the ‘Nameless’ squad. The lowest of the low, people who have committed crimes or didn’t follow orders. You take the missions that no one else wants. Sounds like my type of squad. It will probably be a lot easier for SEGA to just bring Valkyria Chronicles 2 to the PSP Remasters in US and Europe due to it already being translated and voiced. But I do hope that after that, they do Valkyria Chronicles 3. I think fans would love to get the best possible versions on their HD console instead of a handheld. Phantasy Star Portable 2 actually got a US release. I don’t know if it sold well, but it was pretty awesome. The game had free online play on the handheld and tons of stuff to do. Right before we got Phantasy Star Portable 2, Japan already teased Phantasy Star Portable 2 Infinity, which is basically the same game with a ton of more content. 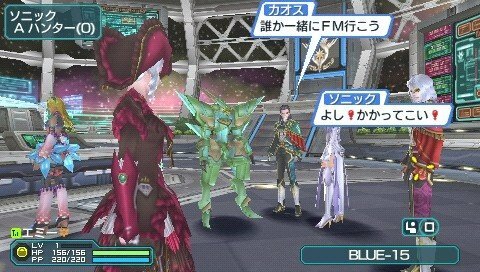 I think most of us here have played a Phantasy Star online game, so I think we know what it is all about. You basically pick a class of character, go online to do missions and level yourself up. This title also has a single player story mode for those people that aren’t into online gaming. I think there is great potential for a PSP remasters version. I mean, it is already confirmed that PSP remasters games can share information with each other like character data and save files. So imagine you get a bundle with Phantasy Star Portable 2 Infinity that comes with the PSP and PS3 versions. At home you lounge around and play the PS3 version with friends, when you are bored at school you can get your PSP out and mooch off the WiFi to continue the adventures. Brilliant. 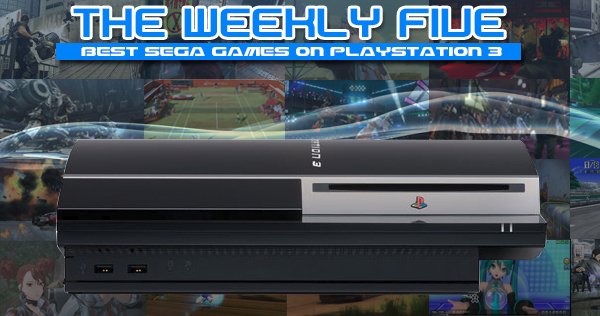 Plus, who doesn’t want to play a Phantasy Star game on their home consoles? I hope Valkyria Chronicles 1 and 2 do get brought to the psp remastered series. I especially want to play VC 3 in english. Crush was a very good game, I'll be honest I don't remember SEGA advertising it, I read about it on here when it was on sale on PSN I still play it from time to time. I also never knew there was a shining game on the psp. Yes George is a great list, I agree. A title which will be released in the near future and right now I'd like to add is the sequel of 7th Dragon. Black Panther: New Yakuza Chapter would be a nice bonus on Yakuza: Of The End's Blu-ray disc if/when it gets localized for America. I want PSP2i too. hold us over until they get PSO2 over here >_> lol. would be nice playing it with a PS3 controller. @George – VC 2 takes place after VC 1. Really nice list! I would absolutely buy Shining Hearts, Valkyria Chronicles 3, PSPo2i and Yakuza. Valkyria Chronicles 2 only if they add some content, because I already have every mission (+DLC) on A rank and 170 hours of play time. Crush sounds very interesting too. I don’t got a psp but I would love to try a shining game on ps3. I can’t find shining tears or wind for ps2. Wish they port it so then that would finally really be a good reason to get a psp or vita. 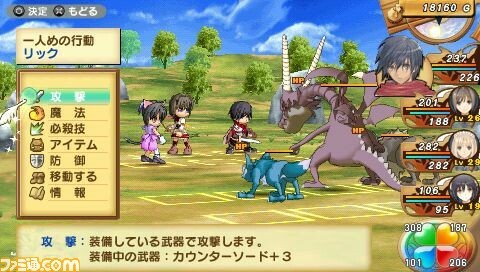 Oh well, I guess I’ll save up psn points and settle with Agarest War.